Firetrace systems are specially designed for small enclosures of all kinds. The contents of the enclosure will determine the system type, size, and fire suppression agent. Our low-pressure clean agent options are typically 300 cubic feet (8.5 cubic meters) or smaller. We also offer options for dry chemical and high-pressure agents up to 1500 cubic feet (42 cubic meters). In addition, our Firetrace E4 engineered clean agent system includes a selection of cylinder sizes featuring the largest cylinder available in the industry. Now even the largest industrial facilities can be effectively protected. 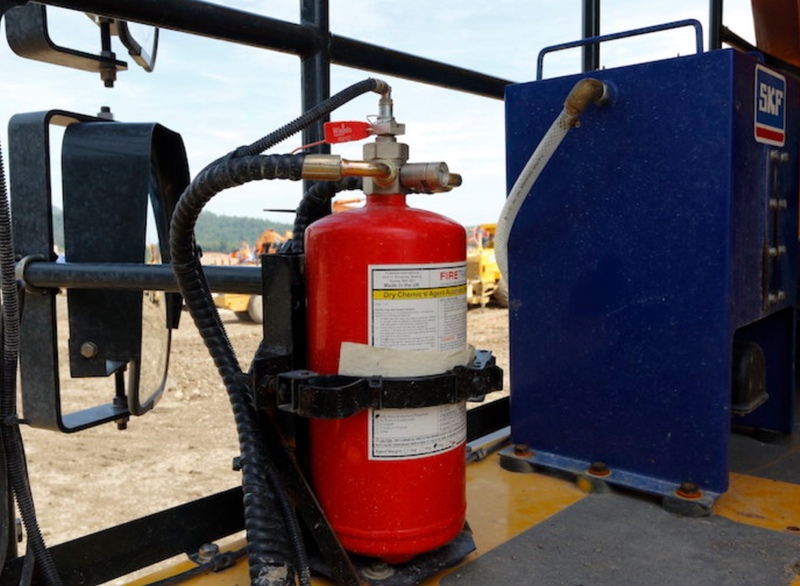 Protecting surface and underground mining equipment against fires can be challenging. Mobile equipment, such as excavators and dozers, contain large quantities of diesel fuel, lubricating oils, and hydraulic fluids. When these fluids come in contact with hot exhaust or engine parts or an electrical fault, they can quickly erupt into a fast-spreading fire that can result in expensive repairs and unscheduled downtime. Electrical cabinets and other vital equipment can be found throughout every food manufacturing, processing, and packaging facility. These electrical cabinets control machinery and equipment critical to keeping production lines up and running and preventing food spoilage. We offer a unique solution for containing and isolating a fire before it can shut down a production line or contaminate food and equipment. Firetrace offers completely pneumatic fire detection and suppression systems for fume hoods and hazardous material storage cabinets without the need for an outside power source. Detecting a fire in its early stage is critically important for reducing the risk of injury to laboratory personnel and the damage to pharmaceutical equipment. Modern pulp and paper processing machines are complex, high-value assets. Even a tiny fire can halt a pulp or paper production line, leading to significant revenue losses due to unplanned downtime. Protecting pulp and paper processing equipment against the risk of fires is essential to maintain business operations and ensure worker health and safety. We offer a proven solution for protecting pulp and paper processing equipment. Expensive timber and forestry equipment, such as loaders, skidders, and log handlers, can be compromised by the conditions of their working environment. The heat of the engine or exhaust systems can easily ignite dry materials that may spread to other parts of the machine and possibly start a wildfire. Firetrace offers a unique solution for protecting timber and forestry equipment against the threat of fires. Farm equipment such as harvesters and pickers can be jeopardized by the condition of their working environment. Leaves, straw, and crop residue can accumulate in the engine compartment or other risk areas potentially causing a fire. Firetrace offers a unique solution for protecting farming equipment against the threat of fires.